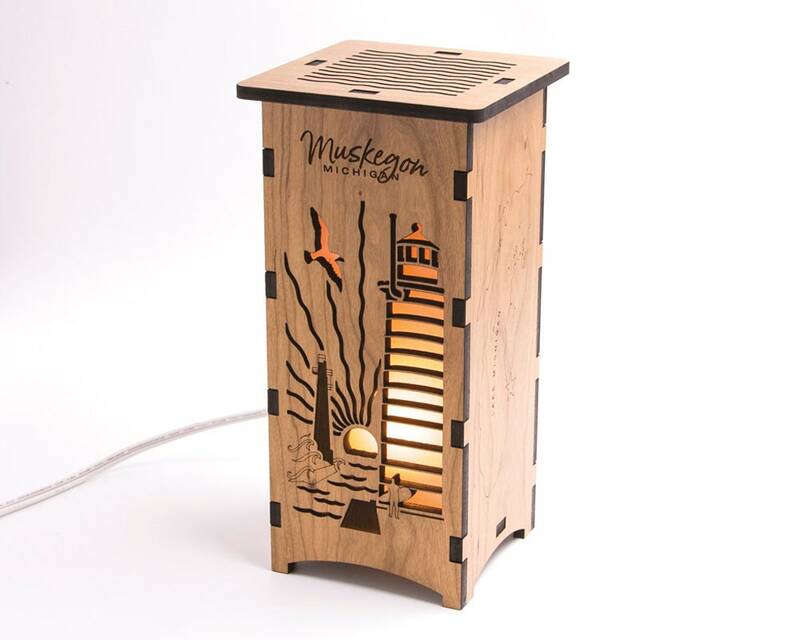 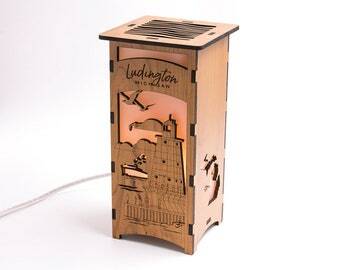 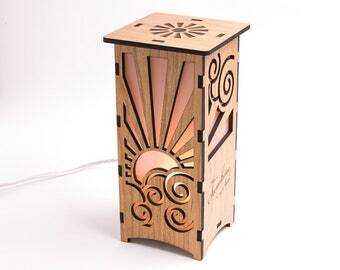 This lantern features the Muskegon Michigan lighthouse, pier, and sunset. 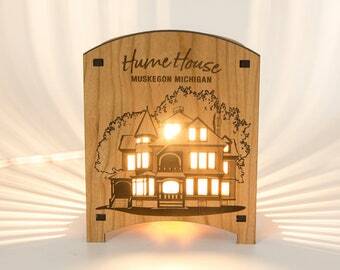 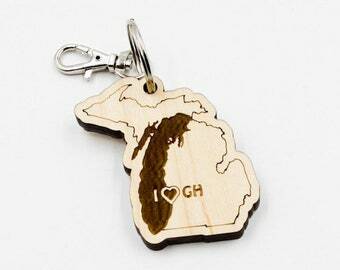 Each side has an engraved map of Lake Michigan with a star showing where Muskegon is located. 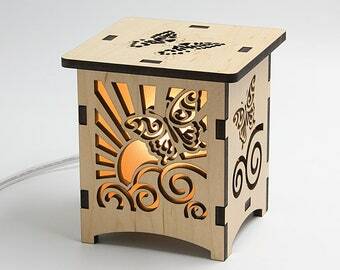 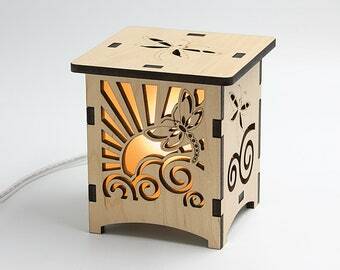 On top of this lantern you'll find a cut out waves that shine a pattern on the ceiling. 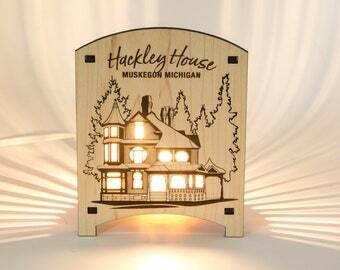 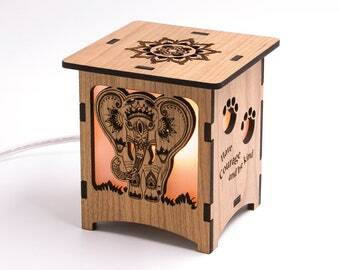 The design on the front is backed by a frosted vellum paper to allow for a soft warm glow from the nightlight.